STATE COLLEGE — It's time to become more aware, Centre County. On the heels of the Freeh report, advocates for children say it's clear that a change needs to take place. According to Cameron Frantz, director of community outreach for the Centre County YMCA, people need to start talking — now. With that in mind, Stewards of Children will hold trainings aimed at prevention, awareness and education. According to Andrea Boyles, CEO of the Centre County Youth Service Bureau, the Stewards of Children training is an invaluable tool. The Stewards of Children program is the only nationally available program proven to increase knowledge, improve attitudes and change child-protective behaviors. The program is for any responsible adult who cares about the welfare of children, she said. It is also appropriate for youth-serving organizations — sports leagues, day care centers, after-school programs, children's clubs and church groups. The program lasts approximately 2½ hours. There is no cost to those taking part in the program. There is a video, a workbook and group discussion. It's aimed to get people talking — and thinking. “It's a very proactive program. We try to keep the trainings small to encourage group discussion. It's simple and straightforward,” Frantz said. The program is open to anyone 18 and older because of the graphic nature of the content. Some of the topics discussed during the program are: facts about the problem of child sexual abuse; the types of situations in which child sexual abuse might occur; simple, effective strategies for protecting children from sexual abuse; the importance of talking about the prevention of sexual abuse with children and other adults; and the signs of sexual abuse so that you might intervene and be able to act responsibly. “The bottom line is that we need to put children first. The key is setting standards. We need to start asking questions. What happens when an adult is alone with a child? Trust your gut. We need to start trusting our gut more. Ask questions. If you don't like the answers, it's OK to walk away,” Boyles said. Stewards of Children is aimed at empowering adults through awareness. According to Frantz, response to the program has been overwhelmingly positive. “We've had over 200 people through the program. The program has been very enlightening. The video presentation is extremely powerful,” Frantz said. There will be trainings on these dates: July 30, Moshannon Valley YMCA (6 p.m.); Aug. 8, Bellefonte YMCA (6 p.m.); Aug. 14, Bellefonte YMCA (6 p.m.); Aug. 16, Centre County Youth Service Bureau (5:30 p.m.); Aug. 22, State College YMCA (3 p.m.); and Sept. 24, Ramada Inn (6 p.m.). 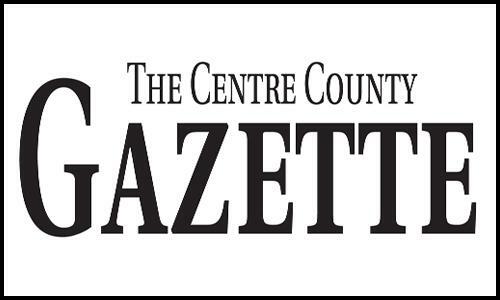 Chris Morelli is the managing editor of The Centre County Gazette.